That's all folks. We will meet again this Saturday where Chennaiyin FC hosts Bengaluru FC in the former's den at 1930 IST. Till then goodbye and cheers! 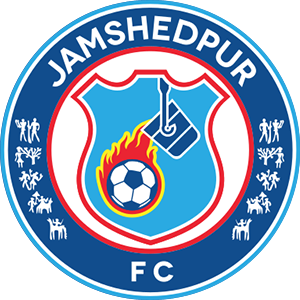 The Club Award goes to Jamshedpur FC as they won the game. The Limitless Player of the Match is awarded to Tiri. The Winning Pass of the Match is given to Sergio Cidoncha. The Emerging Player of the game is Farukh Choudhary and the Hero of the Match is Memo. The second half was similar to the first one. However, Jamshedpur FC looked the more hungrier side and they were the one threatening the Mumbai City FC goal. Though there were not a lot of clear-cut chances created. However in the 80th minute Memo headed the hosts in front. Since then they were resolute in defense and managed to hold on to their 1-goal advantage. The referee has blown the whistle here. Jamshedpur FC have won this game against Mumbai City FC. Four times of extra time added, which is to be survived by Jamshedpur FC. Jerry Mawhmingthanga comes in for Pablo Morgado. The youngster to solid their lead. Jamshedpur FC were trying, trying and they have finally got their reward. Jamshedpur FC have taken the lead in what happens to be very crucial for them. Sergio Cidoncha from the right side and just outside the box takes the free kick. 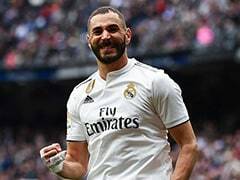 This time he goes for the goal all by himself. The shot is on target, it was though punched away by the keeper. It however, falls to another Jamshedpur midfielder, Memo. Memo' header lobs over the keeper and into the bottom left corner. He is up and running in celebration. Only 10 more minutes to go, can Jamshedpur FC hang on? Mobashir Rahman comes in for Pratik Chowdhary. Jamshedpur FC using fresh feet here to get a break here. Sergio Cidoncha, as usual, takes the free kick. This time the ball floats over the crowd's head and makes it to Tiri at the near post. He then passes it to his teammate Memo on his right but the ball falls where the opponents keeper was standing, no chance for him there to finish of that one. A closest today Jamshedpur FC could have reached the goal. Sergio Cidoncha takes a low cross off the free kick. The ball reaches the Jamshedpur FC players who take a few shots towards goal but their shots were repeatedly blocked by the Mumbai City FC defenders inside the box. Sumeet Passi for Bikash Jairu. An attack-minded substitution from Jamshedpur FC. An event begun by Farukh Choudhary's cross in the box was cleared by Raynier Fernandes. It though was recovered by Jamshedpur FC and they again try to build something around the wing as Farukh Choudhary again crosses but it goes outside for a corner. Pablo Morgado gets a ball directly from the corner. He decides to go for the goal on himself and takes a first-time shot towards goal but fires it high. Sergio Cidoncha puts in a flat ball, right in the centre of the box. Lucian Goian though jumps high and clears of the ball from harm's way. We are all set for the second 45! It is Mumbai City FC who will get us underway. Both teams have given their best in the first half of this crucial game. Lots of crosses and shots flying near the goalpost but none resutled in a goal. 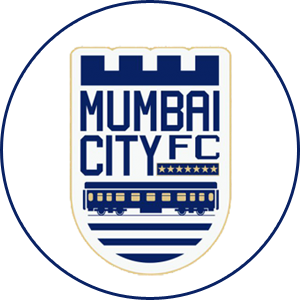 Mumbai City FC had the best chance of the half, it fell to Paulo Machado, however, he failed to hit the target. Jamshedpur FC were also seen building up a couple of chances but no clear cut chances for them. 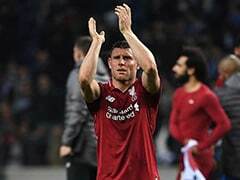 The two teams will have to come with a little more intent and it is probably the side which is a little more brave, bag the three points. Two minutes of extra time has been added to this half. Pratik Chowdhary what were you thinking? A slow back pass from Pratik towards his keeper has been spotted by Modou Sougou who catches pace and looks to push the ball towards goal but Subrata Paul was quick off his line and clears it out. Heart in the mouth moment there. Pratik Chowdhary booked by the referee for committing a foul on Modou Sougou. Former pulled him down while running along the left wing. It was quickly noticed by the ref who shows a yellow card. Rafael Bastos takes a beautiful run along the box but as there was no chance for him to take a shot from there so he crosses it in for Paulo Machado at the far post. Paulo takes his time and then looks to take a shot but does not strike it well and it goes over. Farukh Choudhary gets himself into a promising position by making a run towards goal. He fires a shot on target from the right and just outside the box. The shot though lacks power and Amrinder Singh comfortably catches it. Vignesh Dakshinamurthy crosses in for Modou Sougou in the box. Could have been a good chance for the individual to take an early lead. This was though cleared by Tiri and away from the danger. Jamshedpur FC build an attack from the right flank. They pass it well and the ball reaches to Dhanachandra Singh on the left and outside the box. Dhanachandra fires it towards goal but the shot was really high. Robin Gurung comes sliding in on Rafael Bastos from behind. Rafael falls on the ground and rolls a couple of time before he gets up and calls for a foul. The referee does point for a free-kick and Robin Gurung is presented by a yellow card. Even though it is raining the pitch looks quite good and both the teams are passing the ball well. We can expect a good match from here. Jamshedpur FC will start the game by taking the first touch of the ball. Mumbai City FC has won the toss and decided to attack from right to left. Jamshedpur FC will chase them in the first half. Officials and the players are out in the middle for the Indian National Anthem. Amrinder Singh (GK/C), Marko Klisura, Lucian Goian, Sauvik Chakrabarti, Milan Singh, Raynier Fernandes, Vignesh Dakshinamurthy, Modou Sougou, Bipin Singh, Paulo Machado, Rafael Bastos. Subrata Paul (GK), Tiri (C), Pratik Chowdhary, Robin Gurung, Dhanachandra Singh, Memo, Bikash Jairu, Pablo Morgado, Mario Arques, Farukh Choudhary, Sergio Cidoncha. Welcome all to the crucial game of this year's ISL edition. Tonight Jamshedpur FC will strive for a victory against Mumbai FC in their own backyard. A must-win game for Jamshedpur as a loss here will see their chances of qualifying for the semis become tougher. During their last encounters, the hosts have an upper hand. The visitors are on 2nd position on the points table, winning will see them stay on the same position. Who will come out on top?